MC5 starts removing magnetite, debris and scale within an hour of being added. This advanced strength cleaner makes up one half of our second ADEY® Best Practice step – MagnaCleanse®. When used as part of this, its cleaning powers get to work even faster. 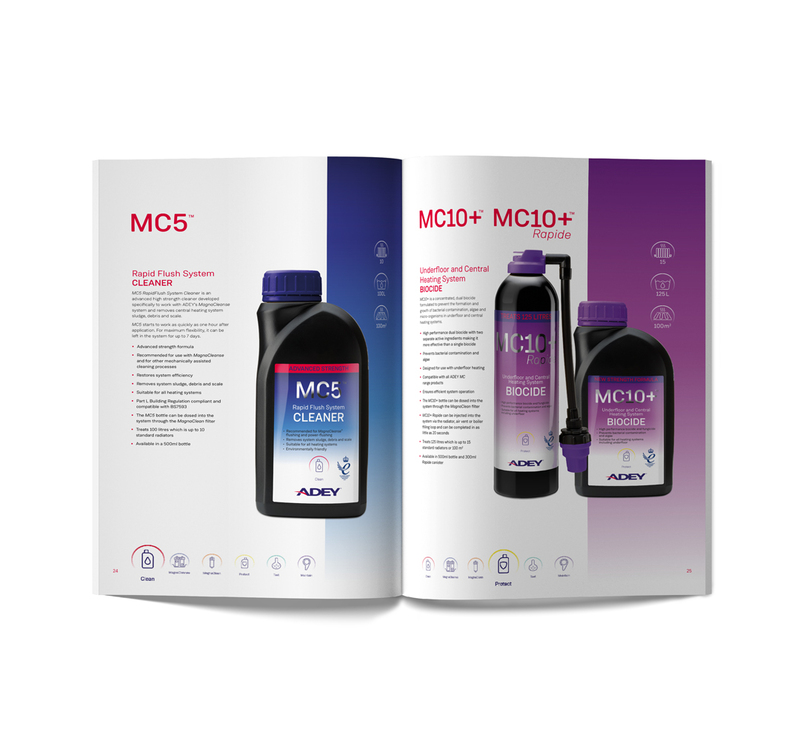 500ml of MC5 will provide effective treatment for a typical 100 litre/ten radiator system. For larger systems, use further MC5 as required. For fast and effective results, we recommend introducing MC5 via the RapidFlush Filter canister during a MagnaCleanse® system flush. Circulate in the system for a minimum of one hour. MC5 can be left in the system for up to seven days. When using MC5 in conjunction with MagnaCleanse, the chemical heats up enhancing performance making the system cleansing process faster and more efficient. After cleaning, the system should be drained and flushed thoroughly. Refill and provide long-term protection with ADEY’s MC1 Protector.